Uzbekistan's majestic monuments, landscapes and walled cities have attracted movie makers for decades. In the Soviet era, the government-run Uzbekfilm studio earned a reputation for producing quality patriotic dramas, comedies and even animations, such as There Will Come Soft Rains based on the Ray Bradbury short story. Today, Uzbekistan produces at least 50 films per year. Directors from other Soviet republics took advantage of the expertise of Uzbekfilm (founded in 1925) and the wondrous landscapes to shoot many films there. The great director, Tashkent-born Ali Khamrayev (now based in Italy), made many films in his home country. Here are some foreign movies you may have seen that were filmed in Uzbekistan. Jerzy Kawalerowicz's 1966 film Pharaoh was nominated for an Academy Award in 1967 and was also entered in the 1966 Cannes Film Festival. This epic film took three years produce. 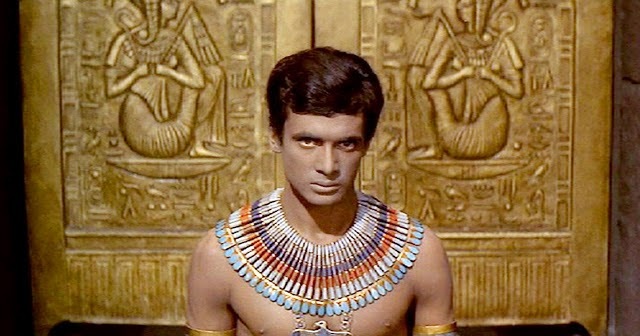 Some scenes were shot in Egypt and in the studio. However, mass scenes were filmed mainly in Uzbekistan's part of the Kyzyl Kum Desert. The crew spent nearly five months there, working in very difficult conditions - at the height of summer, the noon temperature exceeded 50C and the temperature of the sand, 80C. Film stock had to be kept in cold storage. The ubiquitous desert dust also made filming difficult. Every day, 10,000 bottles of mineral water were delivered to the shooting location. Directed by Sally Potter, Orlando is based on Virginia Woolf's novel Orlando: A Biography. The film starred Tilda Swinton as Orlando, Billy Zane as Marmaduke Bonthrop Shelmerdine, and Quentin Crisp as Queen Elizabeth I.
Potter chose to film much of the Constantinople portion of the book in the remote city of Khiva in western Uzbekistan. She made marvellous use of the forest of carved columns in the city's 18th century Djuma Mosque. The film premiered at the 1992 Venice International Film Festival. This 2001 German-language film was directed by Swiss brothers Donatello and Fosco Dubini. Many scenes were filmed in the ancient Uzbek Silk Road cities of Samarkand, Bukhara and Khiva. The film is based on Annemarie Schwarzenbach's and Ella Maillart's 1939 road trip to the remote Kafiristan valley in Afghanistan. Schwarzenbach was a Swiss writer and Ella Maillart, a noted athlete, photographer and anthropologist. Omar Khayyam's life and work has inspired many movies, most recently the 2005 film The Keeper: The Legend of Omar Khayyam, written and directed by US-based Iranian director Kayvan Mashayekh. According to director Masjayek, Omar Khayyam personified all the great qualities of an intelligent man who was able to balance the concept of reason and faith. Persian history has many such men, but the combination of a scientific mind and soulful poetry made him an attractive candidate for a movie. The Keeper was filmed almost entirely in Samarkand and Bukhara with an international cast and crew, including Vanessa Redgrave, again in collaboration with Uzbekfilm. The story switches from modern days to the 11th century. 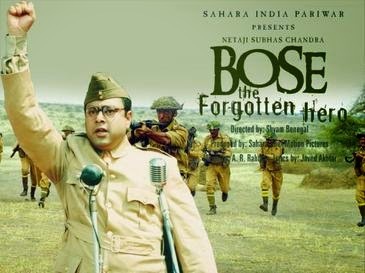 This controversial 2004 film is about the Indian nationalist who, during World War II, tried to rid India of British rule with the help of Nazi Germany and Japan. The scenes in which Subhas Chandra Bose crossed Afghanistan to meet with the Italian and German governments were filmed in Uzbekistan. The critically acclaimed soundtrack for this movie was composed by two-time Academy Award winner A. R. Rahman. The songs Aazadi and Ekla Chalo were particularly popular. A song Zikr is composed in the style of Sufi prayer chants. This is a joint 2007 Indian-Russian psychological thriller written and directed by Anurag Kashyap . The film was shot extensively in parts of the Russian Federation, Kazakhstan, Uzbekistan and Siberia, in extremely cold climates. The huge-budget film was panned by critics though has garnered a strong cult following among Kashyap fans and movie buffs. Of course many documentaries have been made about the Silk Road in general and Uzbekistan in particular - a quick YouTube search will yield many results. A recent and noteworthy documentary is a Russian television network's Uzbekistan: Pearl of the Sands.